The religious technocrats of Jesus' day confronted him with what they believed were the standards of a life pleasing to God. The external life, they argued, the life of ought and duty and service, was what mattered. "You're dead wrong," Jesus said. "In fact, you're just plain dead [whitewashed tombs]. What God cares about is the inner life, the life of the heart" (Matt. 23:25-28). 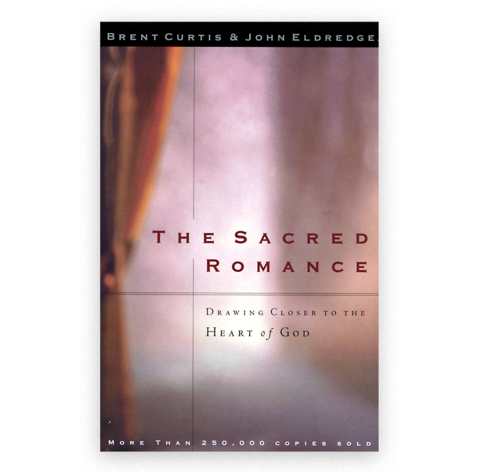 Throughout the Old and New Testaments, the life of the heart is clearly God's central concern. When the people of Israel fell into a totally external life of ritual and observance, God lamented, "These people...honor me with their lips, but their hearts are far from me" (Isa. 29:13). Our heart is the key to the Christian life. The apostle Paul informs us that hardness of heart is behind all the addictions and evils of the human race (Rom. 1:21-25). Oswald Chambers writes, "It is by the heart that God is perceived [known] and not by reason...so that is what faith is: God perceived by the heart." This is why God tells us in Proverbs 4:23, "Above all else, guard your heart, for it is the wellspring of life." He knows that to lose heart is to lose everything. Sadly, most of us watch the oil level in our car more carefully than we watch over the life of our heart. In one of the greatest invitations ever offered to man, Christ stood up amid the crowds in Jerusalem and said, "If anyone is thirsty, let him come to me and drink. Whoever believes in me, as the Scripture has said, streams of living water will flow from within him" (John 7:37-38). If we aren't aware of our soul's deep thirst, his offer means nothing. But, if we will recall, it was from the longing of our hearts that most of us first responded to Jesus. Somehow, years later, we assume he no longer calls to us through the thirst of our heart.